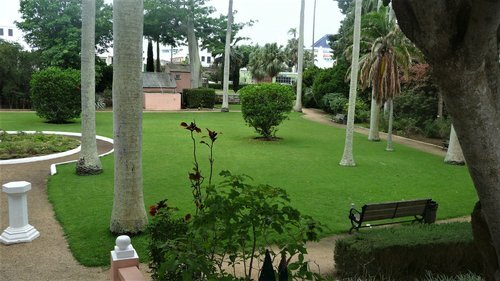 Located in St. George's parish, Somers Garden is a nice green park great for relaxing and taking a break during the day time. The garden has been named after Admiral Sir George Somers who is considered to be the founder of Bermuda. In 1609 his flagship that was bound for Virginia, got wrecked on a reef near St. George. 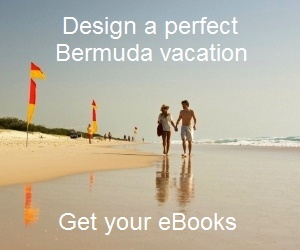 As a result he and the shipwrecked colonists on board had to land in Bermuda. They had to build two new ships to continue their sail for Virginia after 10 months. In 1610, when they set sail again for Virginia, Somers left behind three men to keep continue the British claim on the new found island Bermuda. It was in recognition of his efforts, the island was initially given a name Somers Isle, which still continues to be an alternative name for Bermuda. After reaching the Jamestown in Virginia, Somers found that those who had earlier reached the new British colony were starving for days and most were already dead. He decided to return to Bermuda to collect provisions. However, on his return he fell ill and finally died. His final wish was that his body be buried in Bermuda. His nephew Matthew Somers partially honored his wish and buried his heart at the south west corner of the garden which is now known as the Somers Garden. However, Matthew took the body back to England. He carried the body in a rum barrel because those days the sailors had intense superstition and wouldn't let a dead body be on board a ship. Somers's body was buried in a church graveyard near his hometown of Lyme Regis. You will see a modest tomb at the Somers Garden in St. George. In 1920, a ceremony was held here, a stone column erected and Prince of Wales officially opened the park. Later a large fountain was added at the middle of the garden. There is also a nice moongate in the garden. Somers Garden is open daily during the day time. There is no admission fee. The garden is located at St. George. It's bordered by Duke of Kent Street, Duke of York Street, Shinbone Alley and Blockade Alley. Check out Bermuda Tourist Map to view the location. 2) Check out St. George Bermuda to know about all the great attractions in the town.